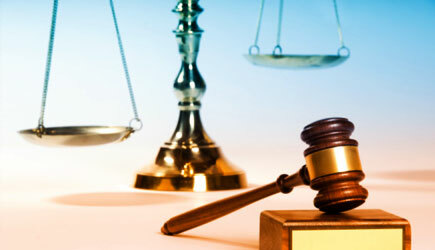 Legal facts are the information on which lawyers base their arguments, in order to win cases in courts of law. The evidence presented during a trial is designed to prove the facts supporting one's argument. Evidence is the key element in convincing the judge or jury that your facts are the proper ones on which to base a final decision. It is up to each side in a trial to prove, to the satisfaction of the court and through the presentation of evidence, the facts needed to support its case. The most common way in which evidence is presented in court is through oral testimony. Oral testimony occurs when a witness swears to tell the truth or be subject to the penalty of perjury, and then relates his or her experiences. Other forms of evidence such as objects from a crime scene, or a signed contract in a civil suit, can be submitted to the court as well. Concrete pieces of evidence like this are called physical evidence. Some facts are proven with circumstantial evidence. Circumstantial evidence is "evidence that may allow a judge or jury to deduce a certain fact from other facts, which have been proven." A lawyer may support an eyewitness account with evidence about the circumstances of the situation, which helps the judge or jury logically deduce or reasonably infer facts that cannot be proven directly. Fingerprints are a perfect example of circumstantial evidence. There may be no eyewitness to place an alleged burglar at the scene of a crime, but if the defendant's fingerprints were found at the scene, it can be inferred that he or she was there. "Circumstantial evidence is generally admissible in court unless the connection between the fact and the inference is too weak to be of help in deciding the case. Many convictions for various crimes have rested largely on circumstantial evidence."